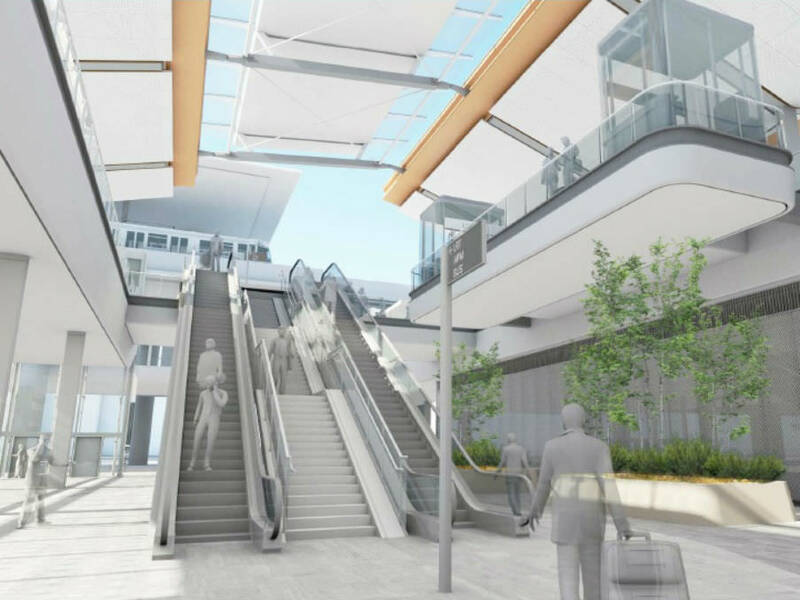 Images of what the Airport Metro Connector project in Los Angeles could look like have been released by the local transport authority. The new transit station will connect metro service passengers to a new people mover that will serve Los Angeles International Airport. It will include a bike hub, a bus plaza, a mezzanine walkway to the station’s platforms and a ‘drop off’ point outside. Located at Aviation Boulevard and 96th Street, the new station will transfer the Crenshaw/LAX line, which is expected to be operational by 2019, and Green line, as well as bus services. The connected people mover is estimated to be complete be 2023. The new transit station is funded by Measure R and Measure M, tax increasing legislation introduced in Los Angeles County in 2008 and 2016, respectively.